Home-based businesses are not just small versions of big marketing conglomerates. They are faced with totally different issues, problems, and opportunities requiring specific skills and tactics. This book covers these and will show you the way to: (1) Discover the secrets of the most successful home-based entrepreneurs. Their proven techniques can unlock the potential of small businesses; (2) Quit wasting time and money on strategies that will not and can not work. 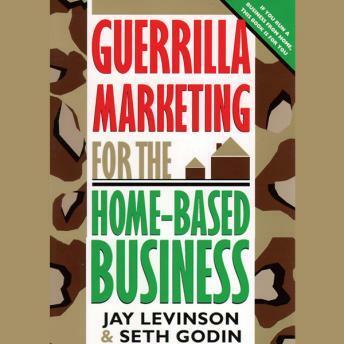 Instead, unleash the powerful guerrilla marketing weapons described in this information-packed volume; and (3) Exploit eleven proven methods, described with examples drawn from real-life experiences.